When it comes to using Holiday Creamers, International Delight is my go to brand. The Peppermint Mocha is my favorite and I enjoy a little in my coffee each morning. My husband actually won’t drink coffee unless it has International Delight in it. He loves how it makes his coffee taste gourmet (without the gourmet price). I started thinking about my morning coffee treat, and came up with a unique way to incorporate this creamer into my morning hot cakes! 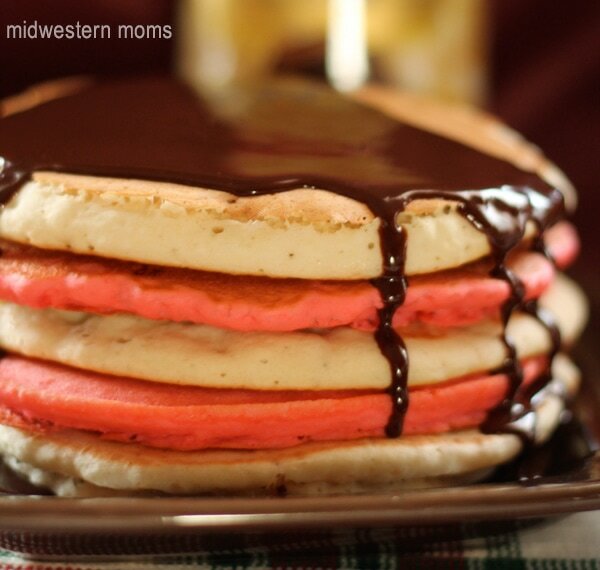 To create these Peppermint Patty Cakes, make a regular pancake mix and split it into 2 halves. Make one half according to directions on the box for the regular pancakes. The other half, put 24 drops of red food coloring in, and 1/4 bag of Peppermint Chocolate Chips. For the syrup, pour half of a bag of chocolate chips in a bowl, along with 1/4 cup International Delight Peppermint Mocha creamer and heat in 30 second increments until the chocolate is melted. 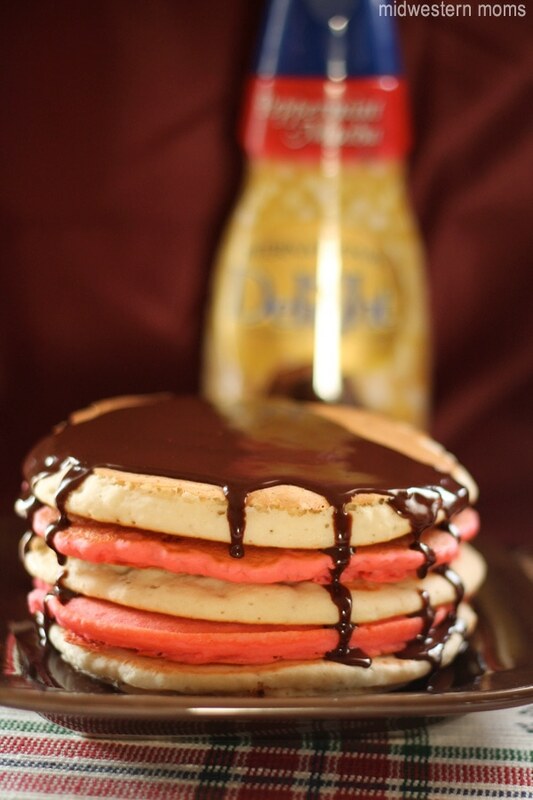 Pour directly over the pancakes. Check out International Delight’s Facebook Page below to read more about their Share Your Delight program and how you can get involved to help donate warm coats to children. There is also a coupon you can download for $1 off of your favorite International Delight creamer.